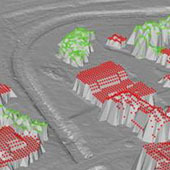 Product description The Digital Surface Model of the Czech Republic of the 1st generation (DMP 1G) represents a picture of the territory including buildings and vegetation cover in the form of irregular network (TIN) with total standard error of height 0.4 m for precisely delineated objects (buildings) and 0.7 m for objects not precisely limited (forests and other elements of vegetation cover). The model is based on the data acquired by altimetry airborne laser scanning of the Czech Republic territory between years 2009 and 2013. 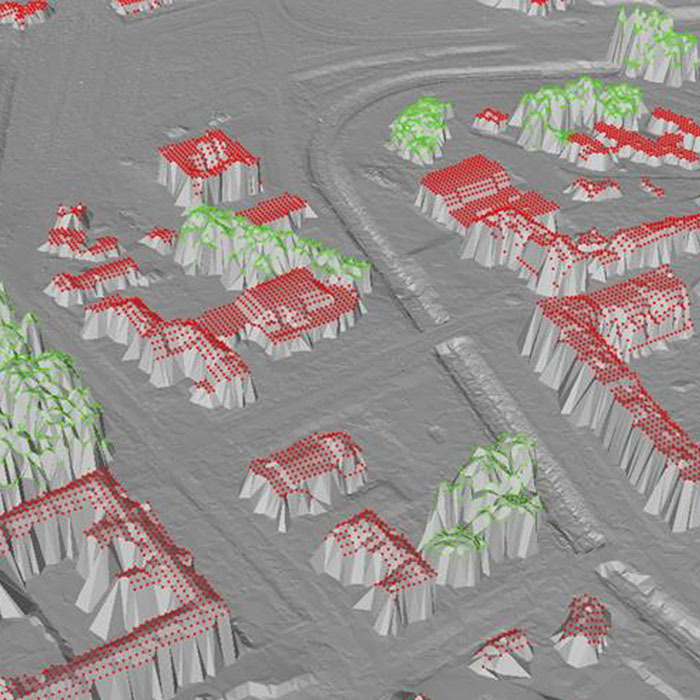 DMP 1G is established to analyse terrain situation (DMR 5G) and geographical objects located on it (buildings, vegetation) of regional and partially local character, e.g. to analyse visibility, radio wave propagation modelling, atmospheric pollutants propagation, generating of terrain virtual images for flight simulators etc. Update cycle - update state DMP 1G is supposed to be updated by the image correlation of airborne laser scanning method. The technological procedure has been recently under development.